Composed in 2012, In Memoriam is dedicated to the memory of the composer’s father, who died of Alzheimer’s disease, with the dissolution of consciousness that condition produces. And consciousness, or rather a fragmentation of it, is at the heart of the work’s inspiration for Hellstenius, who has said that ‘the way the world blurs, and becomes less present for you when you have Alzheimer’s is kind of a model for the piece – and of course there is a lament from my side which is present throughout the piece.’ These ideas aren’t turned into programmatic representation, however, instead resulting in what Tom Service, the author of the liner notes, describes as ‘a sound world of vivid but liminal beauty, of fragile yet elemental extremes of dynamic, register, and expression’. Hellstenius wrote the piece for his fellow-Norwegian. the violinist Peter Herresthal, who is recognized as an inspired interpreter of contemporary violin music. 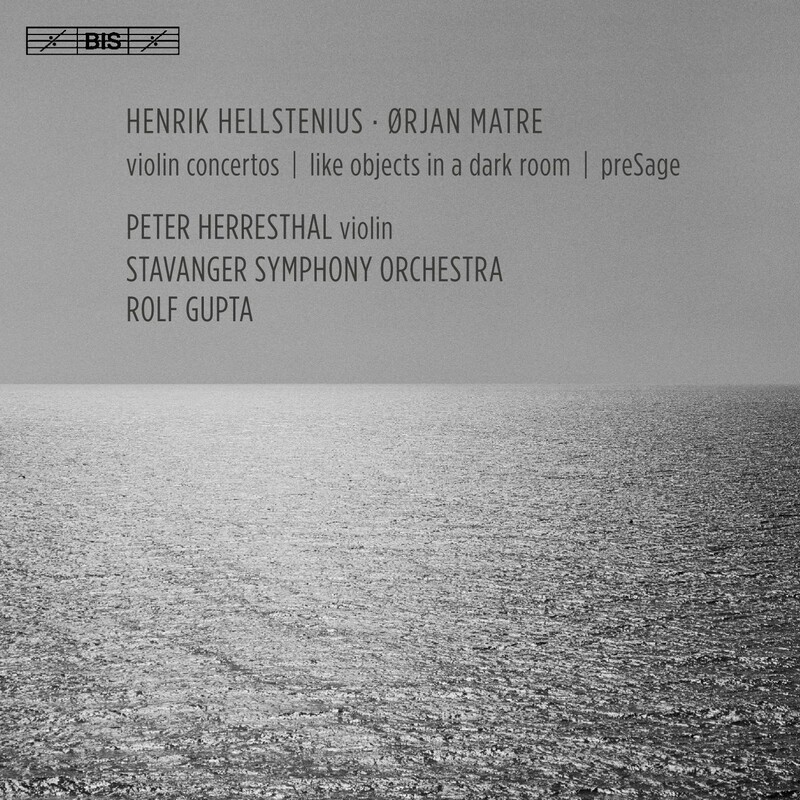 For BIS Herresthal has previously recorded discs with works by Arne Nordheim, Olav Anton Thommessen and Per Nørgård to critical acclaim – released in 211, the latter disc was shortlisted for a 2012 Gramophone Award. He has also initiated the project ‘A string of releases’ – recordings of contemporary works for violin and orchestra, primarily intended for digital release. First of these was last year’s digital album with Thomas Adès’ violin concerto Concentric Paths, coupled with the same composer’s ‘Couperin Studies’. 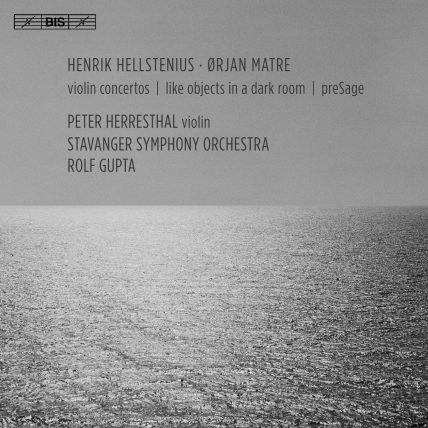 The present album also includes an orchestral work, namely Henrik Hellstenius’s Like Objects in a Dark Room, composed in 2007 and here performed in a revised version from 2014, by the Stavanger Symphony Orchestra conducted by Rolf Gupta.